It is indeed my unique honor to to be your District Governor and to serve all Rotarians and the youths in Rotary, namely the Rotaractors and Interactors in the Rotary Year 2018-19. RI President Barry Rassin has adopted “BE THE INSPIRATION” to be our Year Strategic Logo. He calls upon us firstly to Be The Inspiration before we can inspire others for the Rotary Values. Hence, we have the mission to be THE WALKING EXAMPLES illustrating the 5 Core Values and the 4 Objects of Rotary. And RI President Barry Rassin also emphasizes, we must work harder than ever before we can inspire our ROTARACTORS to be our VITAL FORCE in the World of Rotary. This, brings our Youth Service to a high platform with the great mission to transform our Rotaractors into Rotarians beyond the usual practices. Uphold them without distraction every year. 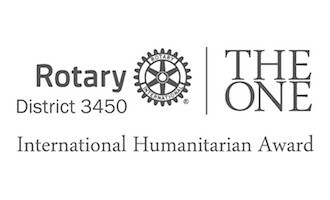 Services through our Rotary Clubs. Conforming with RI, we put the lead of our District Strategic Planning Committee (DSPC) in the hands of the Central Steering Core comprising of Immediate Past Governor, District Governor, Governor Elect, Governor Nominee, and Governor Nominee Designate once elected who together are assisted by their respective selected senior Rotarians in the Committee. This formation provides that the future planning of our District is steered in the hands of immediate past, current and future leaders for wide perspectives, innovation, sustainability, and adaptability to our ever changing community around us. I must thank all of our District Officers, including all of the District Advisors, District Leaders, Assistant Governors Team, District Secretarial Team, District Committees Team, and also all the Club Presidents and Club Leaders together with our supporting staffs in RIC, because we are ALL IN ONE in front of the need to succeed our RI Yearly Strategic Goals. Final but not the least, we are endeavouring not just for this Rotary Year. 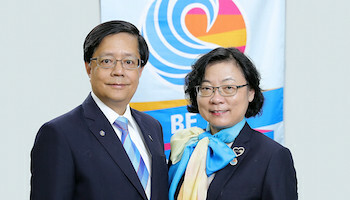 As in any past years, we CONNECT, WITH FUTURE that our endeavors are only laying another concrete foundation to our successors in the next and many many next years of our Rotary District. Thank you once again for all who have dedicated their precious time, minds, and monies in exhibiting Rotary, in being THE WALKING EXAMPLES OF ROTARY to BE THE INSPIRATION.